"The greatest miracles occur in the greatest silence"
We offer year-round holidays in agritourism apartments located in the village Rakowicze in the province Podlaskie.Our village lies in the buffer zone of Biebrza National Park and the Augustów primeval Forest. 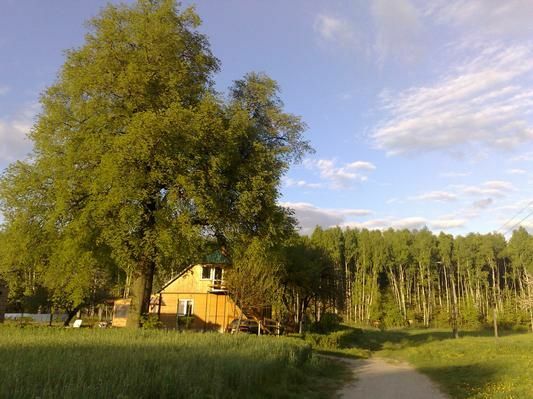 Our farm is located at the end of the village, to the next neighbor we have about 500 meters, and the forest of the images shown behind our house already belongs to Belarus. This location makes it that the only people who come to us are: the postman if he have the load and the Border Guard, which patrols mostly at night while when we sleep. We want to offer you everything that delights us every day in this "wilderness." Evenings with the starry sky at night, silence that surprises every visitor, occasionally interrupted by the sounds of wild animals, mornings with birds singing „Good Day“ in the day time accidental encounter with a fox, roe deer, elk or other wild-living animals, a lovely play of sunlight and changing colors in the seasons of the surrounding flora. Unfortunately we can not guarantee you a lovely weather for your stay, but we will be very happy if the surroundings and real nature, allowed you to calm down, mute and that means just relax. - Final cleaning: once per object to be done by tenant (Mandatory). - Intermediate cleaning: per object and day Costs amounting to 8 EUR (optional). Final cleaning (once per object, Costs amounting to 0 EUR). Intermediate cleaning (per property and day, included in price 8 EUR).